Because barley is used instead of sorghum, this gluten-removed lager taste much more like you would expect a beer to taste like. I was lucky enough to taste this beer early on, before the other gluten-removed hit the market. At that time I was enamored with the taste. It was the first beer that was brewed with barley that I was able to taste in over 10 years. I hadn’t realized it before, but the taste that I was looking for in other gluten-free beers was in fact barley. Estrella does a job of making sure you don’t miss it here. It’s taste is a major feature of this beer. This is the type of light lager that you may expect from Europe. It is a beer that isn’t over-bearing, and is great for drinking at outdoor events. This beer is light and bubbly in appearance, and has a strong “malt” flavor it it. It finishes smooth, and is very drinkable. 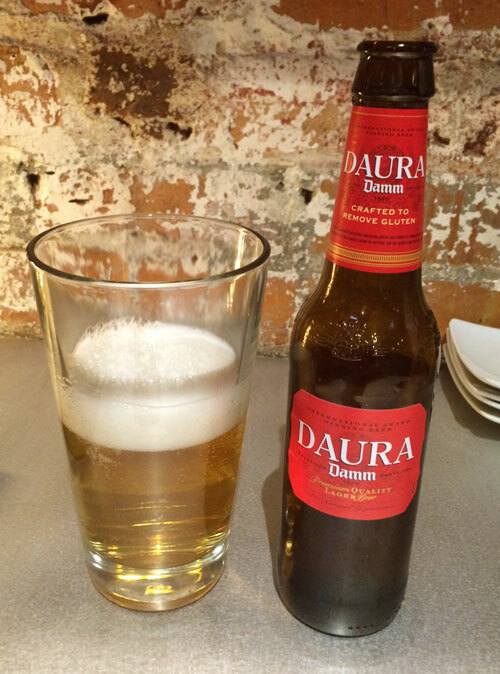 In 2011 Estrella Damm Daura won Three Gold medals for Best Gluten free beer. First, a Gold Medal at the World Beer Championships in Chicago, IL. Secondly the won Gold at the International Beer Challenge in London, UK. Third they won the World’s Best Gluten-free Lager Award (for the 3rd consecutive time) at the World Beer Awards, also held in London, UK. Made using barley malt, but is reported to have less than 6 parts per million (ppm) of gluten. Less than 20ppm is generally considered safe for people with gluten intolerance & Celiac disease. 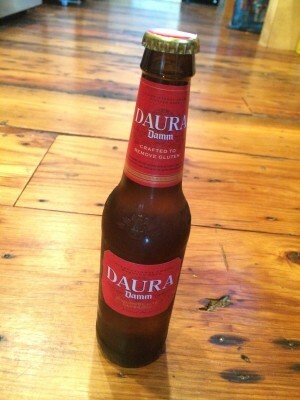 Brewed by the S.A. Damm beer company, Barcelona, Spain.